Our skilled team can provide custom cabinetry, exquisite glass elements, intricate tiling and more—without ever outsourcing. Find out how we’ll create your dream bathroom. Your bathroom should reflect your style and needs while complementing your home’s design. By entrusting Aqua-Tech to design and install your bathroom’s custom- built features, you’ll get more than the components: you’ll get a whole host of features that will make your bathroom functional, beautiful and, as so many of our past customers can attest to, your new favourite place to be. Our custom components just begin with unique cabinetry designs, including made-to-order drawers and cupboards, window seats, benches and more. We can design bespoke glass accents, like floor to ceiling showers, and unique glassed-in steamrooms. We also work with many other materials to create bathrooms that are completely unique and incorporate only the elements you want. As for finishing touches, you’ll be pleased to learn that we can also create stunning lighting designs, allowing you to customize the feel of your bathroom depending on your mood. Additionally, we can include a range of finger-tip controls so you can adjust every aspect of the room to be exactly as you’d like it to be. The Aqua-Tech team is capable of so much more than we’ve highlighted here. If you can dream it, we will make it a reality. If you’d like to discuss any other materials or tailored features, make an appointment with our interior designer to find out how we’ll bring your vision to life. There’s nothing that we can’t build! 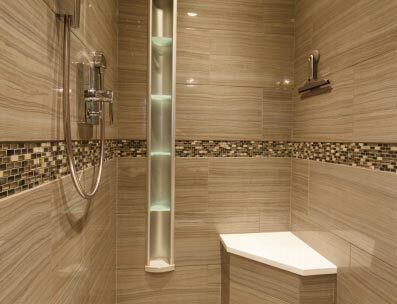 During your consultation, we’ll discuss the aspects that you’d like included in your dream bathroom. Alternatively, if you only know that you want to restyle your existing space and need some professional advice, we’ll provide that too. Rest assured that the final product will be a bathroom that you’ll be able to enjoy for years to come. 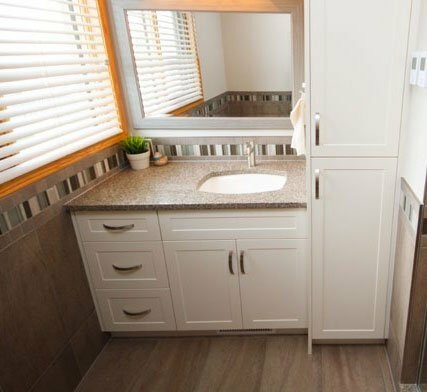 Your Aqua-Tech team has been re-designing and modernizing bathrooms throughout Winnipeg for decades, and we’re proud of the reputation we’ve developed for unmatched quality. We’re uniquely placed in Winnipeg to provide these stunning additions, and will work within your budget requirements to produce an exceptional final product. Schedule your FREE consultation today to discuss how we can make your bathroom the most luxurious and unique it can be.